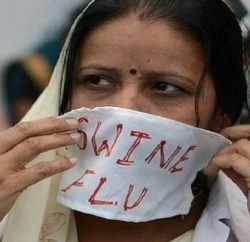 Shimla: Health Minister Vipin Singh Parmar today said that public health facilities in the state are fully equipped to deal with swine flu (H1N1) cases. He stated that adequate supply of anti-viral drugs have been made available in the health institutions. Testing facilities for seasonal flu are available at IGMCH, Shimla, Dr. Rajender Prasad Government Medical College, Tanda and Central Research Institute, Kasuali. Health Minister has claimed of providing medicines at all health institutes for free-of-cost. The persons suffering with chronic diseases, pregnant women, people above 65 year of age and children below five year age are at higher risk for severe illness. The health workers have been directed to provide them free-of-cost medicines by visiting their homes, the minister further added. The Minister said the state government has notified rapid response teams in the state to respond actively to detect any outbreak of the disease. As many as 12 rapid response teams have been notified at the district level and 73 at the block level in the state. 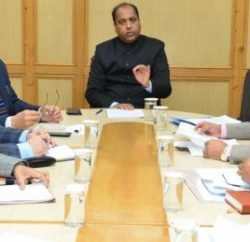 He has directed the staff of IGMC, Shimla, Dr. RPGMC Tanda and other health institutions of the state to intensify the awareness campaign among the people to take preventive measures. Seasonal flu is a respiratory disease caused by different types of influenza viruses by infecting the respiratory tract and resulting in nasal secretions, wheezing, cough, decreased appetite, restlessness etc. So far 75 cases have been tested positive in the state and ten people from six district viz. Kangra, Mandi, Una, Shimla, Solan and Bilaspur have lost their lives. 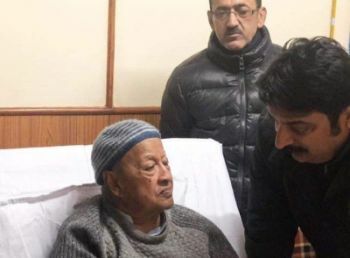 Veteran politician and former Chief Minister Virbhadra Singh was also tested positive early this week and after recuperating at IGMC Shimla, has been discharged. In case of flu it is advised to cover mouth and nose when coughing or sneezing, wash hands properly with soap and water, especially after cough or sneeze, stay at home and take rest, avoid visiting crowded place. It is also advised to keep safe distance from the people suffering from flu. Wear a face mask whenever in a crowded place, avoid touching eyes and nose with unwashed hands and if anyone has flu symptoms stay home and do not go to the office, school or crowded places. 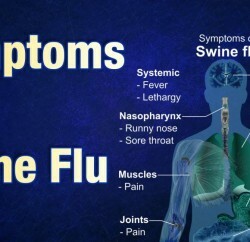 It’s hard to tell swine flu from regular flu since symptoms of the virus are similar to the symptoms of flu, which include fever, sore throat, cough, body ache, runny nose, chills, headache, and fatigue. Many people also have diarrhea and vomiting. It’s advisable to visit the nearest hospital in case of any of the above systems and to be tested for swine flu. A patient testing positive for either H1N1 A or B virus is treated with medication used to treat and prevent influenza. Previous PostRising Himachal 2019 road show in Hyderabad, Investors show interest in investing in Himachal Next PostExtreme Weather: Is it a Lull before the Storm?